Fine looking building !! I can see Ike enjoying living there !! Nice shot !!! That was a lovely place in its day. It still is. But I bet it was a happy and loud place with 5 boys growing up there. Great shot. Super info and great shot / processing. Great info. Very nice home. 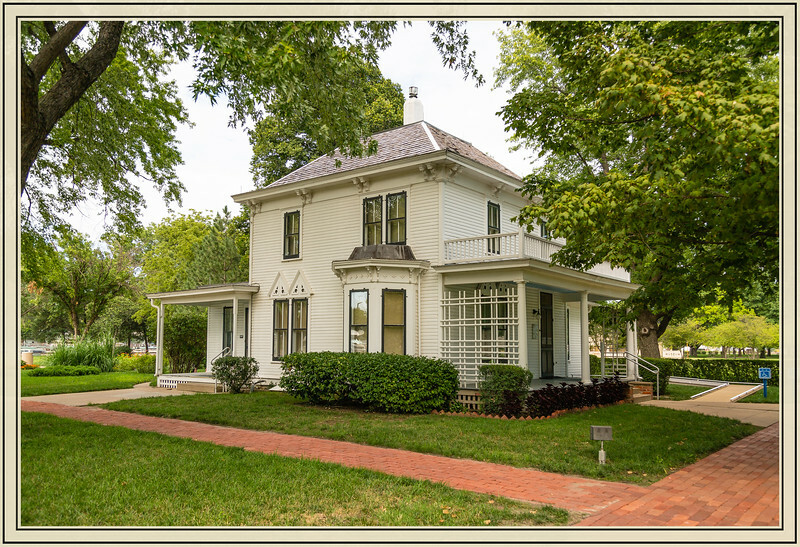 Lovely old home in Abilene, KS!